I've taken two impossible triangles and joined them into the symbol of my beloved people. For me it means the uniqueness of Jewish history and reflects the paradoxicality of the national character. 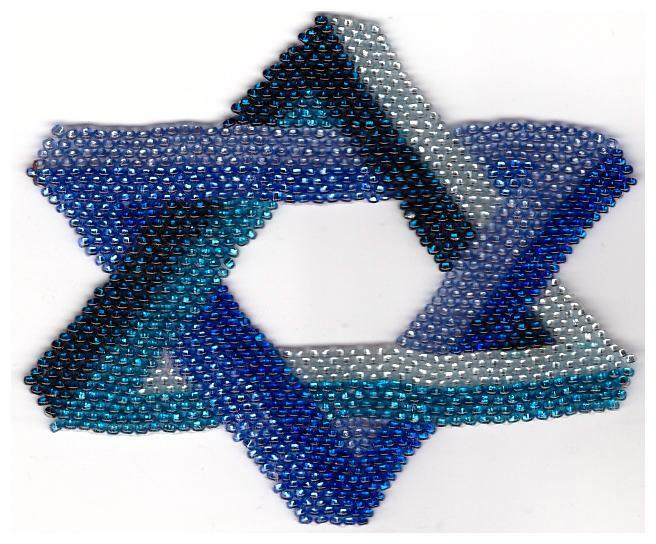 The Impossible Megan-David is woven of 6 shades of blue beads. The pattern includes a photo of the finished star, a short description and two graphs (for a blue star shown at the photo and for a silver-and-golden one) with numbered rows. The thread way is shown in every bead.